As winter looms closer, the mornings are getting chillier and I just want to spend those extra few minutes rolled up in my doona. So the less fuss my makeup is, the better. 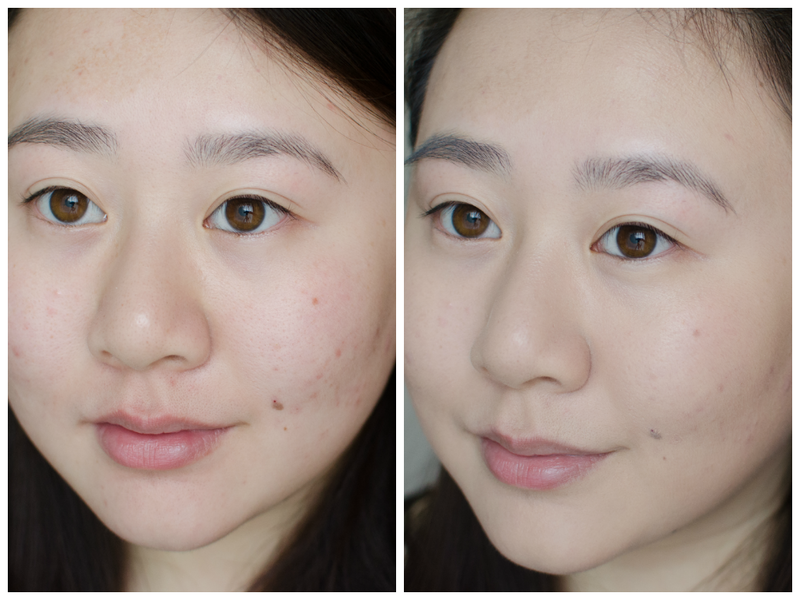 I have been late jumping on the CC cream bandwagon and been intrigued by the new "cushion" craze in Asia. 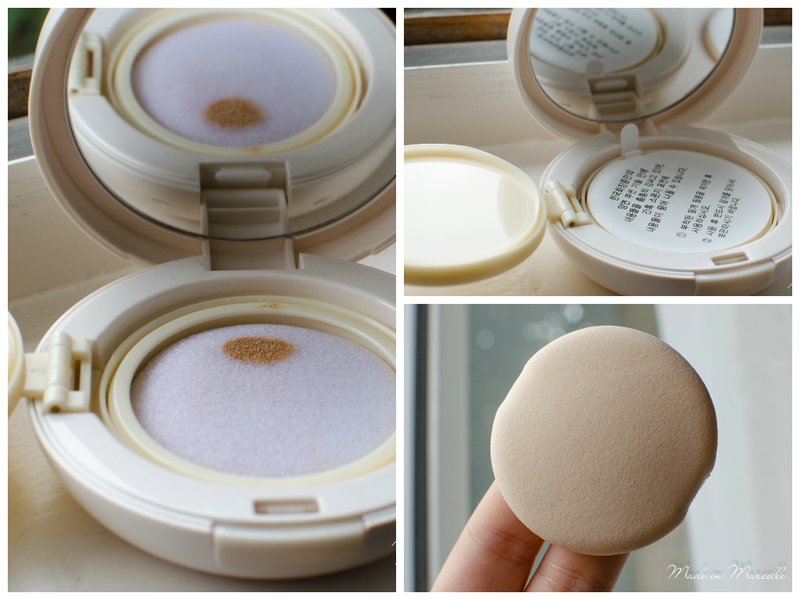 So The Saem Eco Soul CC Cushion has been a great way to try out both trends in one go. How does this whole cushion thing work? Essentially there is a "cushion" where the product is dispensed from and you pick this up with another sponge to apply to your face. This supposedly keeps the product moist and applies more naturally. This all-in-one, new-concept CC cushion delivers transparent hydra radiance, excellent adhering, moisturizing, cooling, coverage, whitening, wrinkle improvement, and UV protection effects simultaneously. What makes this product really special is the sponge. It looks so simple, but it is much better than your average porous one. It's denser, smoother and applies beautifully. It is absolutely brilliant for base application. As you can see in the photo below, this little compact gets messy very quickly. This was just the initial priming of the product and the cc cream is already all over the plastic. This is probably due to the sponge just barely fitting in the cushion area, therefore you need to work it at an angle. It is such a slow procedure to "pump" out product each time, especially as not a lot of it is dispensed with each motion. Also I'm not too keen on having a "wet sponge" as a base makeup. Hopefully there is some sort of antibacterial in it to prevent bacterial growth. This has a light coverage and a natural finish. You would be hard pressed to build this up to much more than a light/medium coverage. 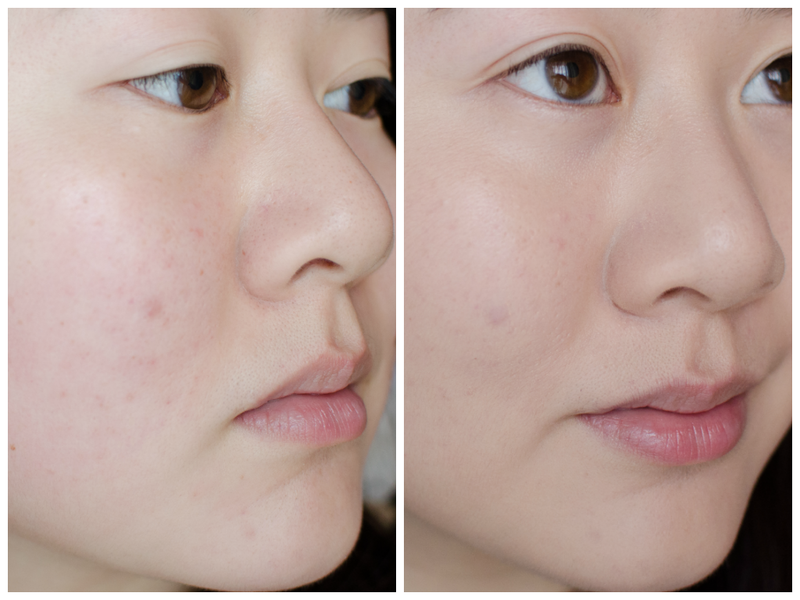 It evens out my skin texture and reduces the redness and blotchiness from my acne. My skin feels moisturised and feels supple to the touch. The finish is dewy, so definitely not recommended for those with oily skin. Even my dry skin starts to look shiny after a couple hours of wear. 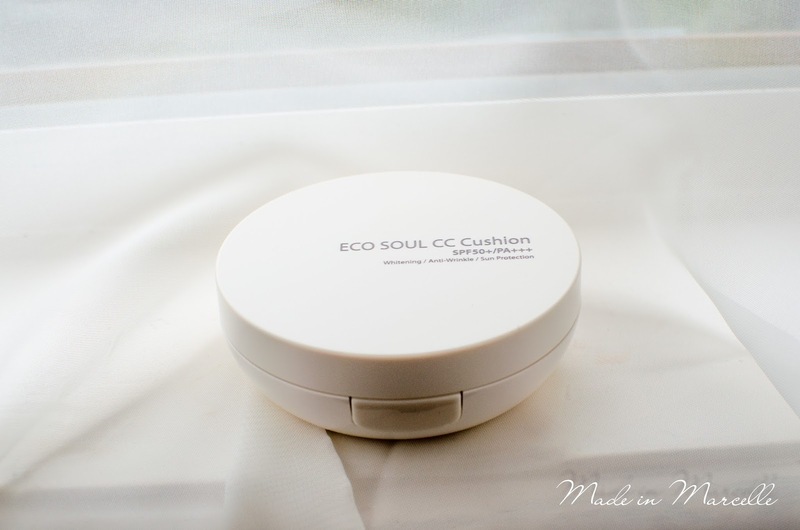 What really surprised me was how great this CC cushion was for touch ups. It does not cake, but instead it really freshens up my complexion despite the continuous application. This is necessary, because it is by no means a long wearing product. Sometimes I even pat it on top of my concealer to reduce the dry cakey look. I can't comment on its supposed "whitening" or "anti-wrinkle" properties as they're not very obvious in a makeup product like this, although it is nice to know they are there. Time consuming to "pump" product out. 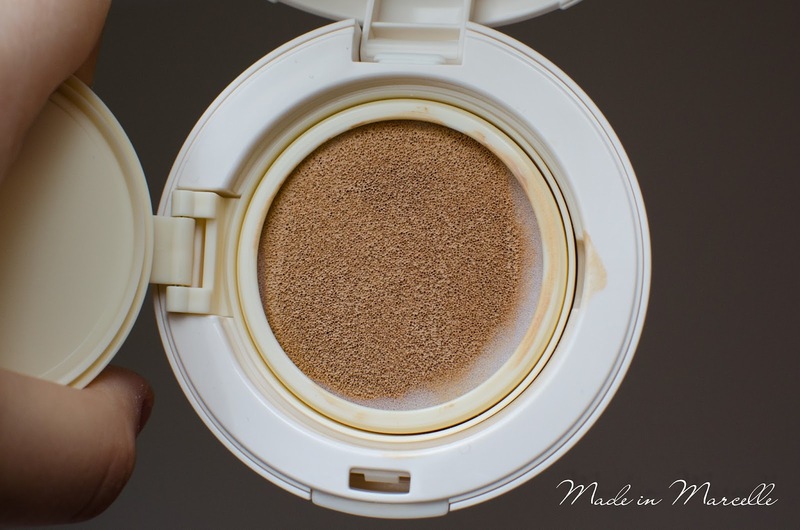 Personally I have really enjoyed using this on a daily basis for a natural glow with little fuss. But as you can see the coverage is so low that I only really dare use it when my skin is looking good or extremely dry. Although I am looking forward to trying more products by The Saem and really love the feel of the CC cushion, I am not completely sold. The method of use is good for touchups but in the morning it takes more time than I have. dạy tiếng anh cho doanh nghiệpều đến như vậy. Để ý đến muốn tìm biện pháp, dùng hết thủ đoạn để giành lấy. Cha anh ta từng dạy, nếu muốn có được thứ gì thì không được từ mọi thủ đoạn, anh ta cũng không cho rằng mình đã sai. [LIFE] by M: We've been in rural Victoria!